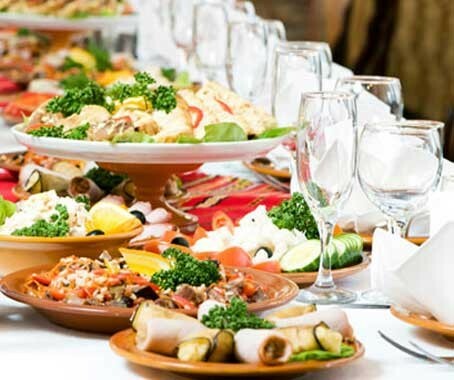 Organising catering for your wedding day is central to its success; you want a company with skilled staff that will make your wedding event a sensational triumph. For over 35 years, this is exactly what Hamilton and Kirk has provided wedding couples in Belfast and Northern Ireland. Allow them to do the same for you. Booking with Hamilton and Kirk entails an initial consultation to go over a basic review of the wedding reception. Then, there are subsequent consultations to fine tune all the details such as the amount of food, the number of courses and the overall theme. They will work closely with you to realise your dream wedding reception. These Northern Ireland wedding caterers can be booked for weddings in private homes and other private venues. Be sure to contact these venues first to verify their policy on outside caterers before booking with Hamilton and Kirk. If you're unsure of a venue for your wedding reception, Hamilton and Kirk offers several recommendations. Provide your details below and Hamilton & Kirk will be in touch soon. Your details will be treated confidentially and not shared with other merchants.